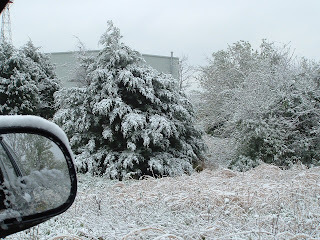 Journey to Mia: Snow & Kittens- All on April 5, 2007! In the midst of our "flurry" of activities...I discovered JoJo had her babies when I came home for lunch yesterday! 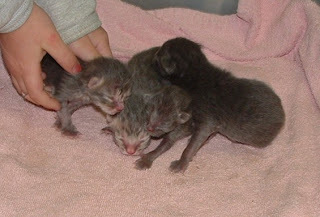 4 tiny baby gray kittens. They are so small they actually look like mice!! 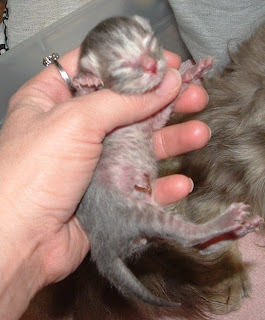 You can still see the umbilical cord on this little one! Here's a pic of the tree in our driveway.